The Samsung Gear VR debuted last week at IFA and is Samsung’s foray into the world of virtual reality. 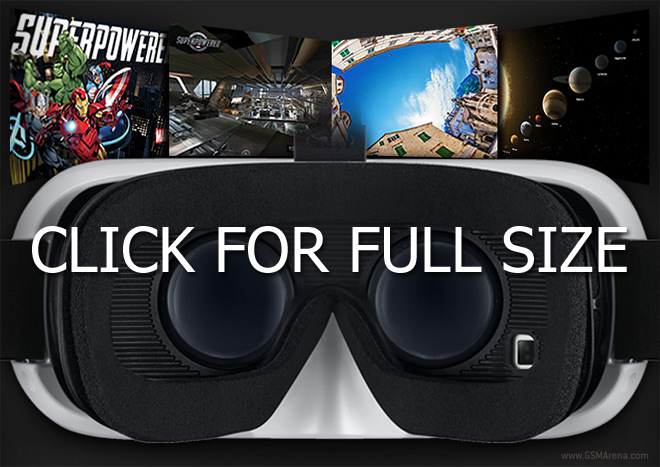 It’s in partnership with Oculus, the team behind the best known VR headset on the market. Samsung already has game devs lined up to develop content for the Gear VR and the Galaxy Note 4 to power it. Here’s an infographic that will introduce your to just what the Gear VR does. 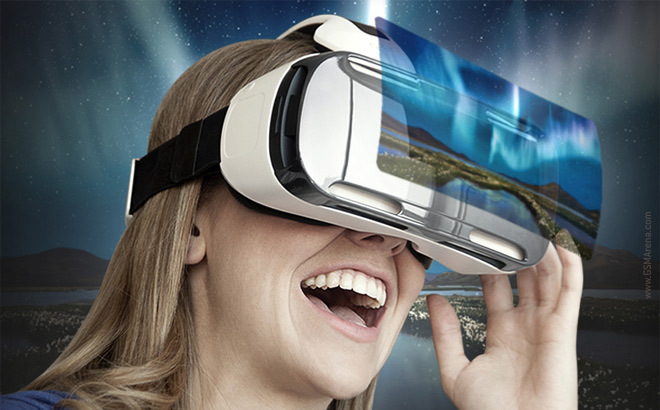 The Gear VR uses a Galaxy Note for its display and its brain – a 5.7″ QHD screen (more importantly 515ppi) and either a Snapdragon 805 or an Exynos 5433. The pixel density is most important since the screen is barely inches away from your eyes and you’re viewing it through lenses. The lenses can be used to correct the focus, which is great for those who wear glasses (which obviously won’t fit under the headset). Gear VR also has a proximity sensor to tell when you put it on and offers 96° field of view. For comparison, the Oculus Rift Development Kit 2 uses a Galaxy Note 3 display (386ppi) and offers 100° field of view. Anyway, you can expect to view immersive 360° videos as well as play games on the Samsung Gear VR. Note that you’ll have to provide your own headphones and the headset only supports the Galaxy Note 4. For more information you can check out our hands-on with the Samsung Gear VR.